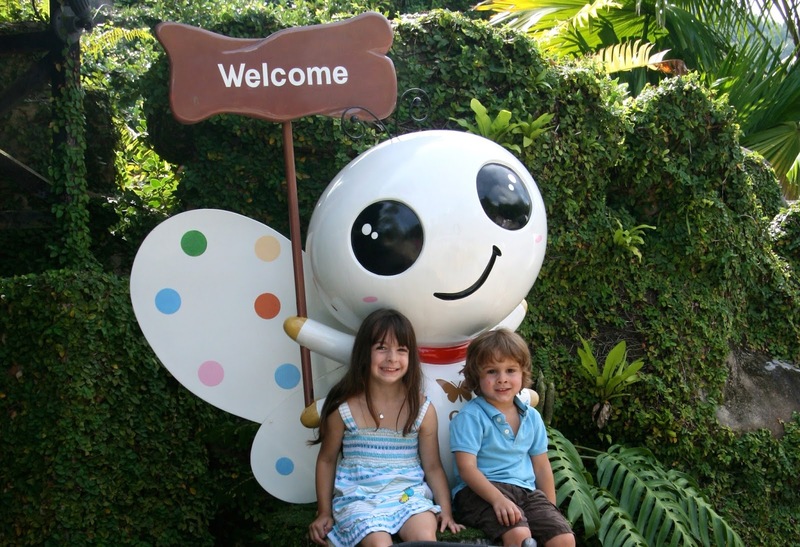 We had heard great things about Penang's Butterfly Farm that we just had to go visit. It was close to where we were living in Batu Ferringhi so we headed out early to try and beat some of the stifling Penang heat. 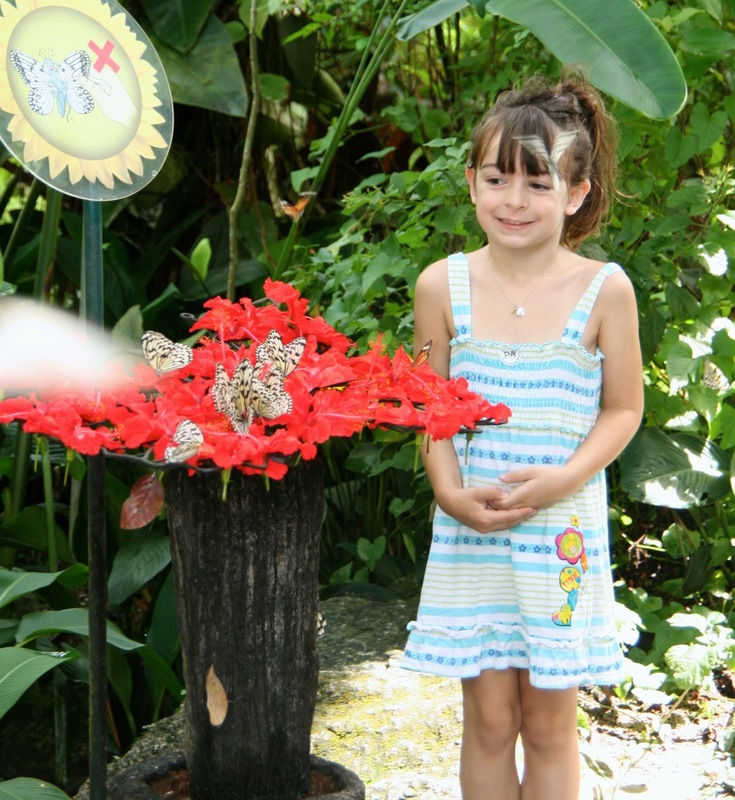 The butterfly farm is the tropical world's first live butterfly and insect sanctuary. After a short and easy 2 bus ride we arrived at the butterfly farm excited for our visit. Butterfly farms are outdoor enclosures covered by netting with lots of plants and beautiful butterflies inside. The netting provides relief from the sun, but it is still hot and humid with the misters. As we walked in we were immediately surrounded by various amounts of beautiful butterflies flying around. Butterflies of all sorts of shapes and colors. We followed the walking trail and saw iguanas, lizards, millipedes, "man-eating" plants and of course butterflies...everywhere! Our kids had so much fun exploring. Their favorite part was when butterflies would land nearby and on them. After about an hour in the gardens we finally made it to the indoor museum. Sweet relief of air conditioning! Inside we got to see displays of various bugs and learn about climate change. There were also live insects, snakes, spiders, frogs and even glowing scorpions due to a black light. Our kids thought these were very cool. We loved the Butterfly Farm and would go here again. It's a bit pricey, but the kids loved it and got a good education too. 27RM Adult, 15RM kids 4-12.